You heard it right. 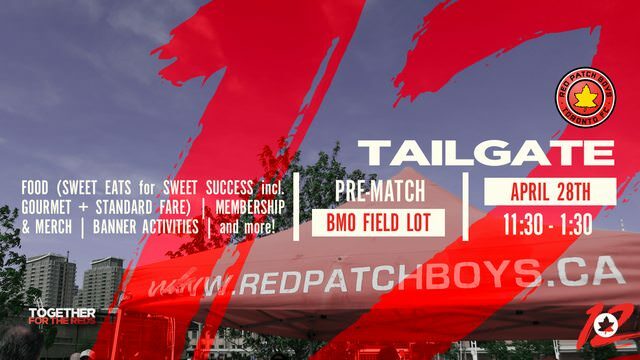 The RPB Tailgate Team was back at it with some sweet eats to match the sweet taste of success as reigning MLS Champs! Everyone was welcome to attend. The event took place on Saturday, April 28th before the match against Chicago Fire from 11:30 AM to 1:30 PM. This event went off according to plan thanks to a ton of work behind scenes (except for some cooperation with the weather). Volunteers on the RPB Tailgate Team prepped and setup with a generally good attitude which was much appreciated. 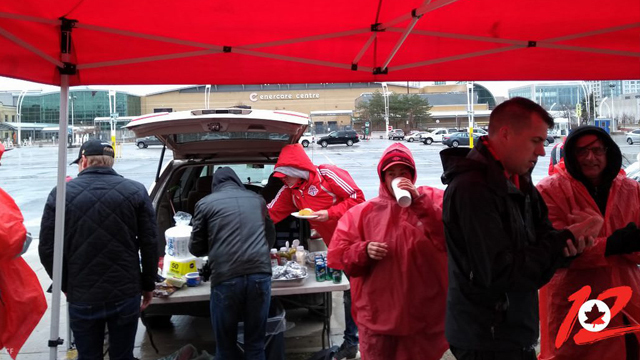 The weather cursed us longer than expected, but thanks to those that came to hang out, eat some food and stay warm under tents (then not under tents), then over grills, and then by basically munching and talking about the team, the week and more together. Shout outs also to members of the RPB Banner Team that got a banner project ready to go but weather postponed the added fun. We cannot say enough of all the help from our Supporters. Looking forward to it working out better at the next event! 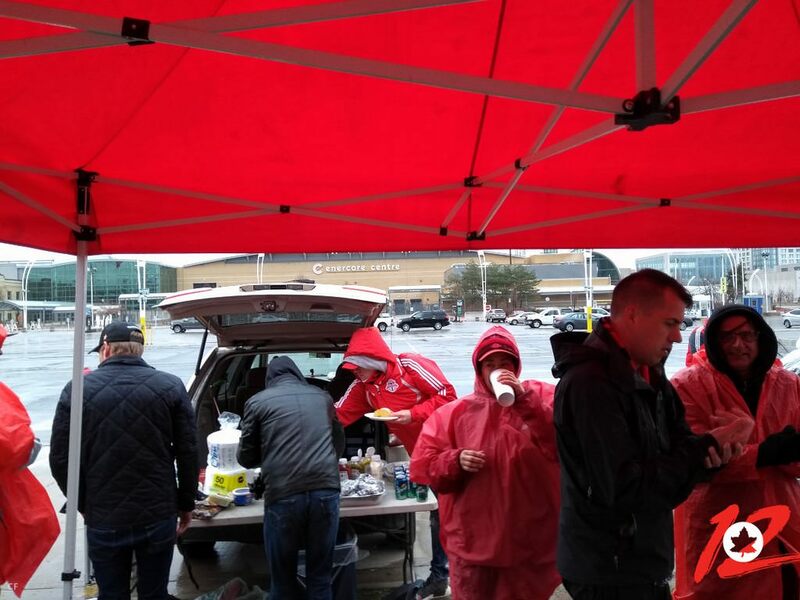 Thanks for keeping the faith all – Tailgate Til I Die! CONCACAF – Proud of our Reds! 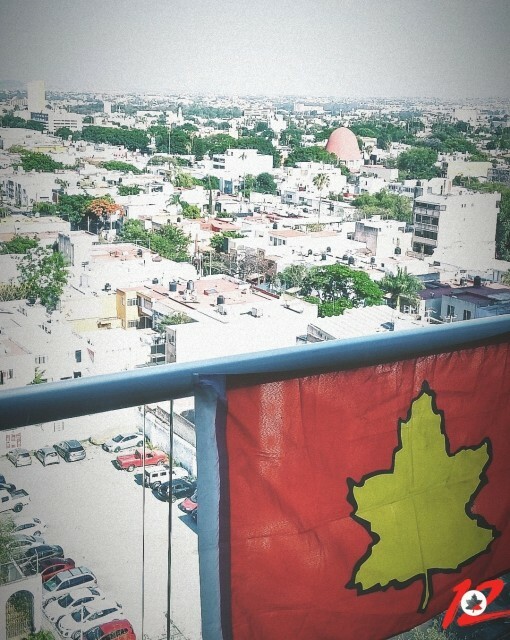 Red Patch Boys members traveled to Guadalajara, Mexico to witness the best chance any MLS team has ever come to winning the CONCACAF Champions League. Toronto FC played against Chivas in the second leg of the final on Wednesday, April 25th, 2018. 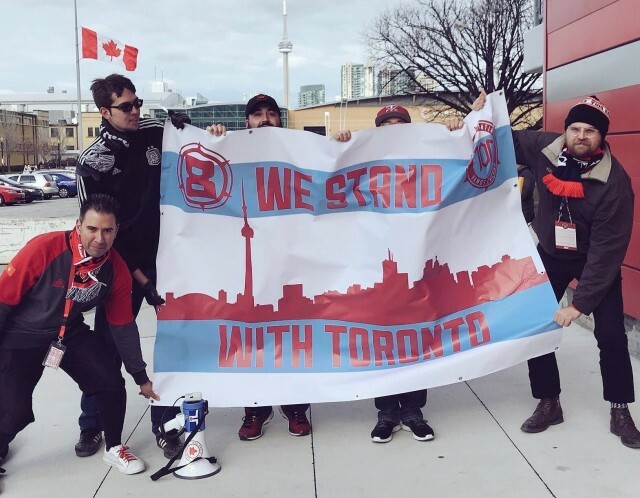 After a 1-2 first leg loss at BMO Field on Tuesday, April 17th, TFC made an epic comeback winning the second leg game 2-1. The two-game series ended with a draw 3-3 and forced a penalty shootout. Chivas won by scoring all four while TFC missed twice which meant that traveling supporters were forced to watch Chivas hoist the cup in a grand celebration. Not the finish we dreamed of but so proud of our Reds and the CONCACAF times we shared. Shouts to all road warriors who journeyed to any of the Mexico legs and are safe home now. From home we now look forward! Members of Section 8 Chicago presented TFC Supporters with a banner that reads: “WE STAND WITH TORONTO” that they had hung in the away section at BMO Field on Saturday, April 28th, 2018 – less than a week after tragedy struck Toronto’s North York area. Red Thread Brewing‘s All-Natural Craft Lager, 23:13 and Natural Red Ale, RedX beers have been a huge hit in the GTA. 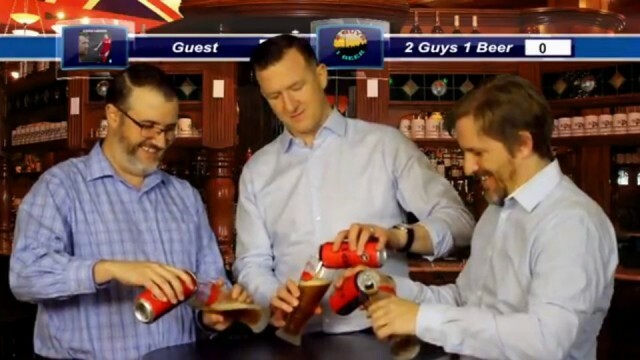 In a recent podcast episode, Dan & Chris from 2 Guys 1 Beer sampled RedX with a special guest – former TFC Captain and RPB Player of the Year, Steven Caldwell! 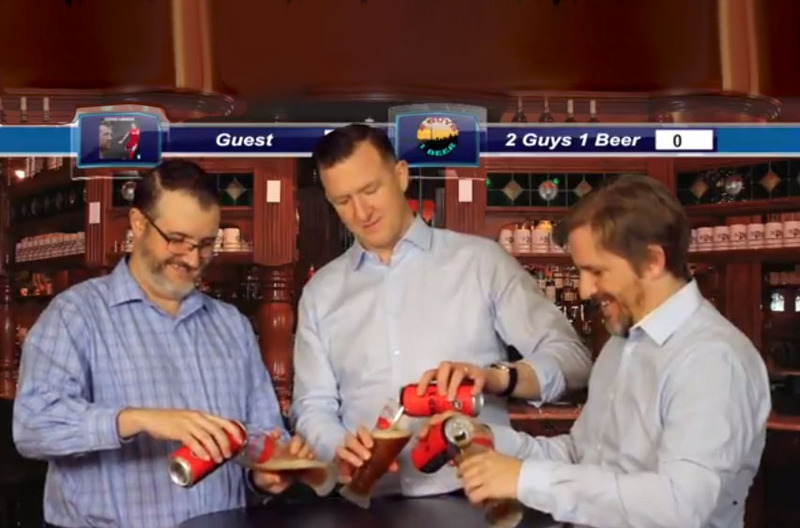 Find out their thoughts on the beer, Caldwell’s appreciation for RPB’s collaboration and support and a chat about the best sport in the world. Locations where you can enjoy Red Thread’s 23:13 and RedX can be found on our RPB beer page. For the first meeting of the Impact and TFC of the season, Red Patch members started the day – St. Patrick’s Day – at McLean’s Pub in Montreal. TFC film crews followed and interviewed some of our executive team capturing pre-match activities, travel to the stadium and the sea of red support in the stands at Montreal’s “Big O” Olympic Stadium. Watch the All For One YouTube video capturing some of this early season away match day. © 2019 Red Patch Boys Inc. All Rights Reserved.